To upload a file to VirusTotal, you can visit the home site and use the main file scan form. 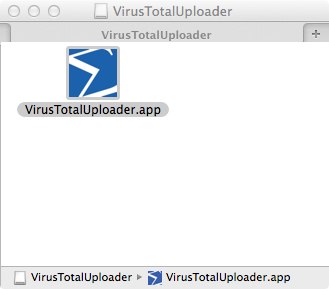 You can make this process even easier with the free VirusTotal Mac OS X Uploader utility. After installing it, you can simply drag and drop files and apps into it in order to get them scanned with over 50 antivirus solutions. 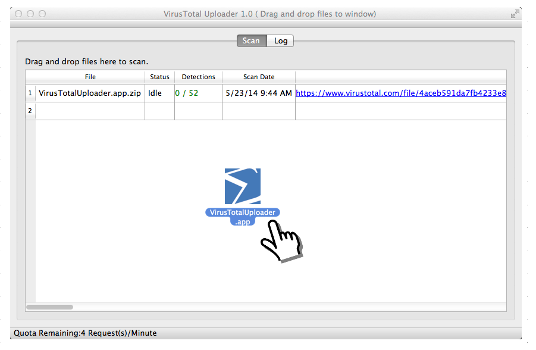 This document is intended for any user that wants to learn how to use Mac OS X VirusTotal Uploader. It is a simple Apple OS X Desktop application that makes the interaction with VirusTotal as easy. You can drag and drop file to the application to scan them. No technical background is required in order to understand the document. You need a Mac running OS X 10.7 or higher. 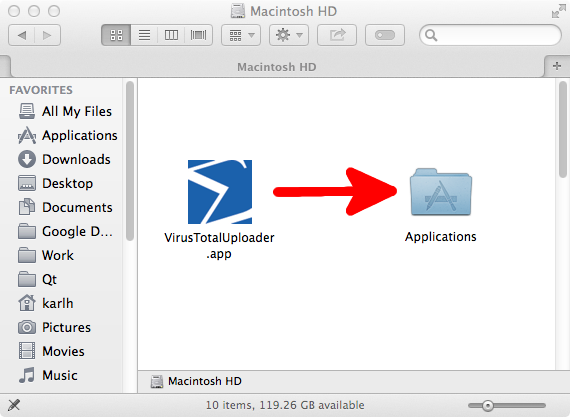 Then drag and drop the VirusTotalUploader application to your Aplications folder. Simply drag an drop files on the application to scan them. Select in the 'File' menu which files to scan.